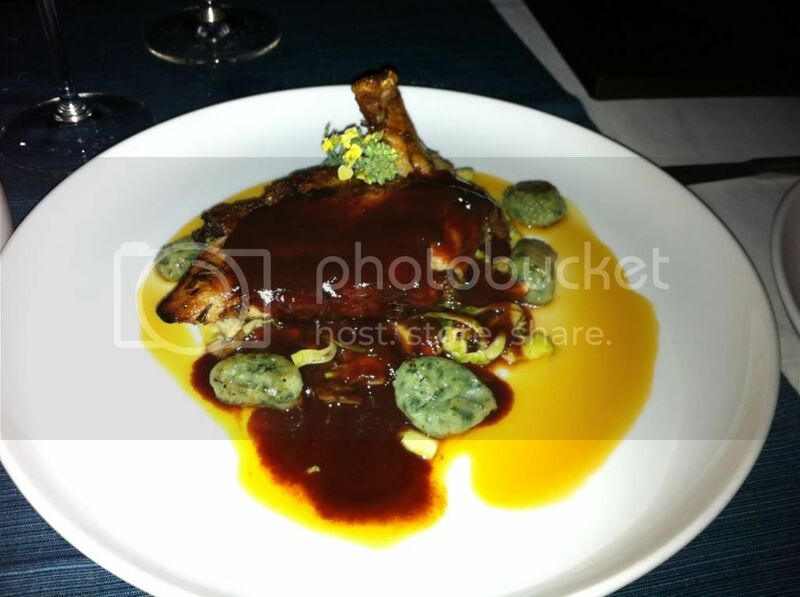 A couple of weeks back I had the pleasure of checking out Essensia at the Palms Hotel in South Beach. I had honestly never heard of Essensia and had no expectations or knowledge about the restaurant. So my best friend and I ventured over to the Palms to check the place out. Come to find out the restaurant is almost completely sustainable and they even have their own garden where they grow a great deal of their own herbs and vegetables. 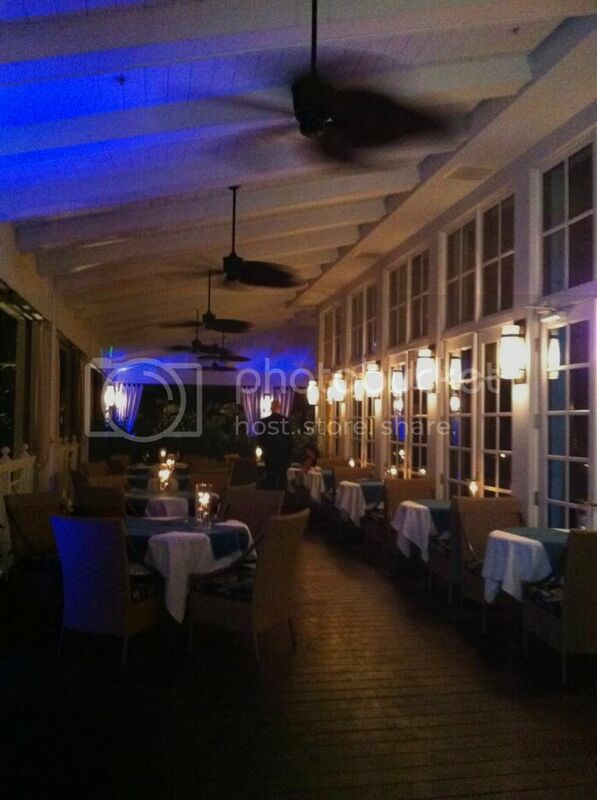 The restaurant is located on the lobby floor of the hotel and has a large outdoor dining area that has a very Key West vibe and faces the hotel’s garden and pool. I loved the easy going yet upscale vibe the outdoor dining area had. Now onto the stuff that really matters; to start we went with their Ahi Tuna Tartare Stack. It was beautifully plated and just as delicious. 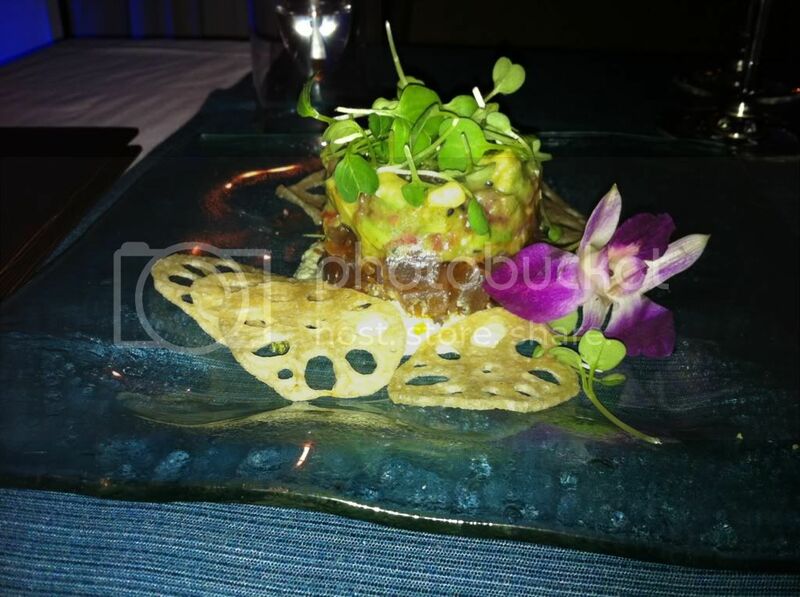 It was wasabi caviar over a tomato & avocado ponzu stacked on top of ahi tuna all neatly plated over edamame hummus. The tartare is also served with crispy lotus chips. The crispy lotus was a fun and different variation to regular chips or pita bread. The hummus went perfectly well with the avocado and tuna. This dish was so delicious and hard to stop eating. Once I was done licking the plate, I moved onto the next dish. 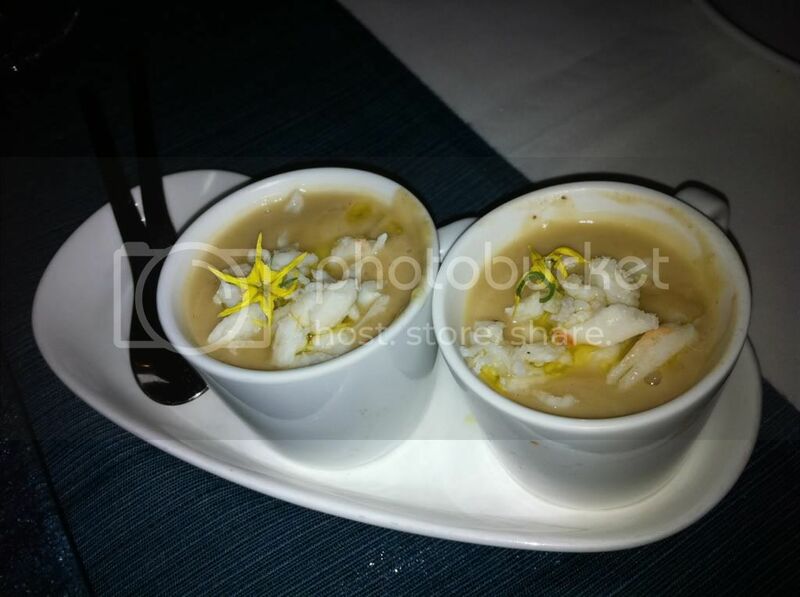 We also got to try their Roasted Cauliflower and Leek Creamless “Bisque.” The “Bisque” is topped with lump crab meat. This was another funky yet delicious combination. I would never have though that crab would be a flavorful combination with cauliflower and leeks, but it definitely works. The soup has a tiny hint of truffle and lemon and would’ve been the perfect meal for those excruciatingly rare, cold Miami nights. After the soup and tartare we dug into a couple of salads. 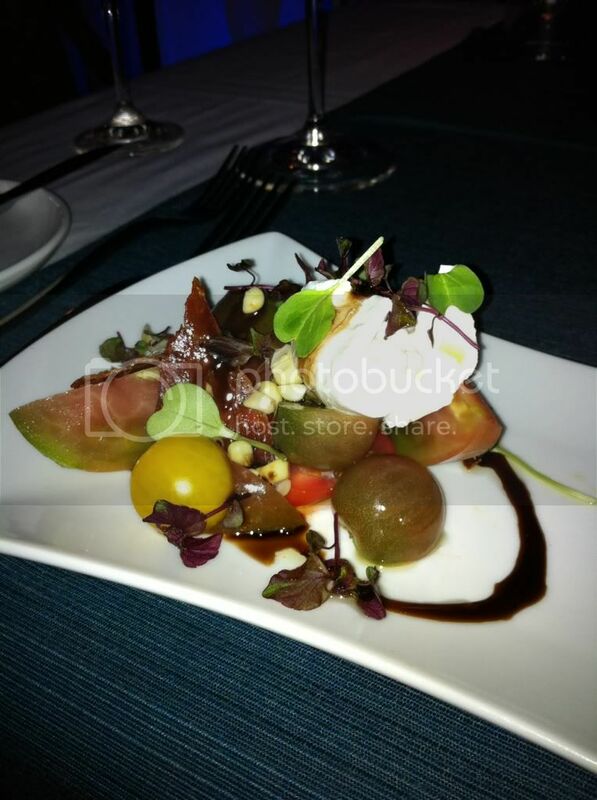 We tried their Local Burrata & Local Heirloom Tomato Caprese and their Tri-Colored Citrus Salad. The tomatoes, if memory serves me correctly, are grown in the chef’s garden right at the hotel. The salad also comes with charred corn, crispy prosciutto, basil olive oil and balsamic vinegar. The tomatoes were different variations of red and green hues. 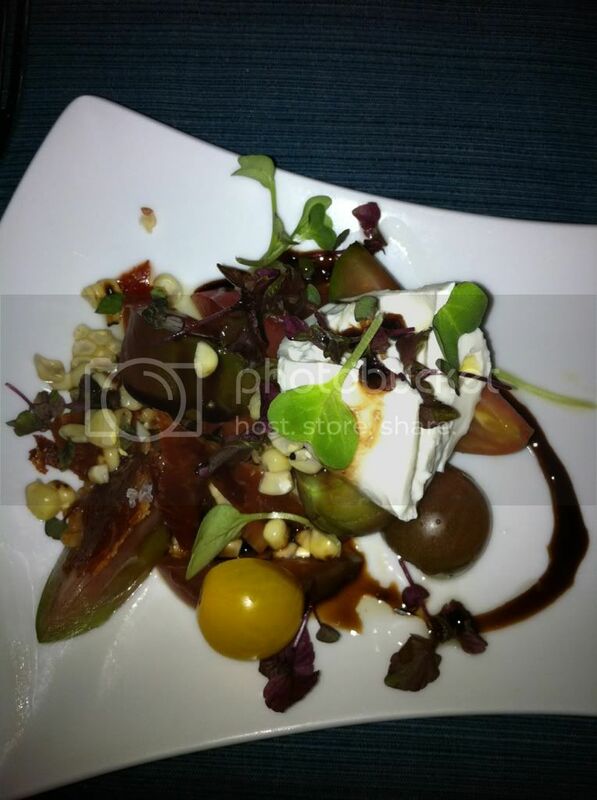 The burrata was delicious and fresh. This was a classic dish that was well done with a touch of funky thanks to the charred corn. The Tri-Colored Citrus Salad was my least favorite of the two but this is mostly attributed to the fact that I’m not a big fan of frisee. 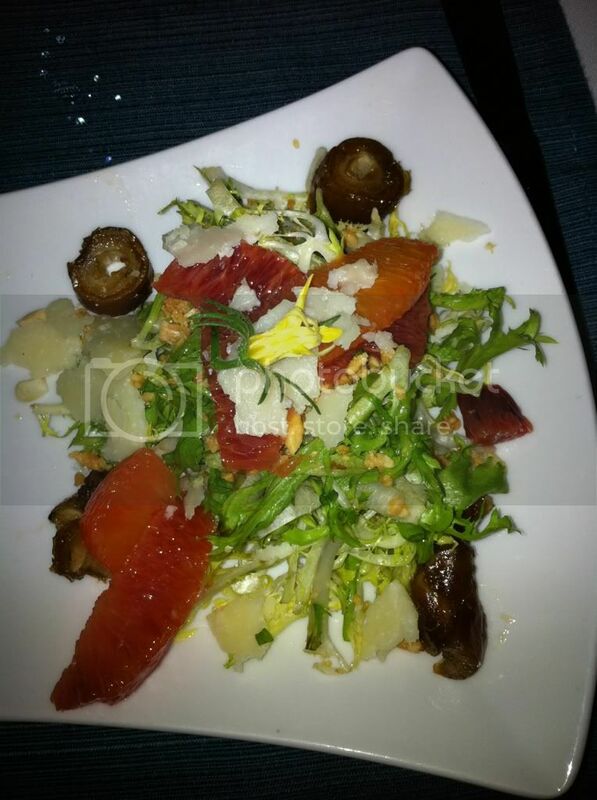 None the less, it was very refreshing with the fresh citrus, dates, sherry vinaigrette and almonds. It’s a great summer dish to help cool off this horrific Miami heat. Onto the entrees, I had their Local Grass Fed Braised Short Rib. 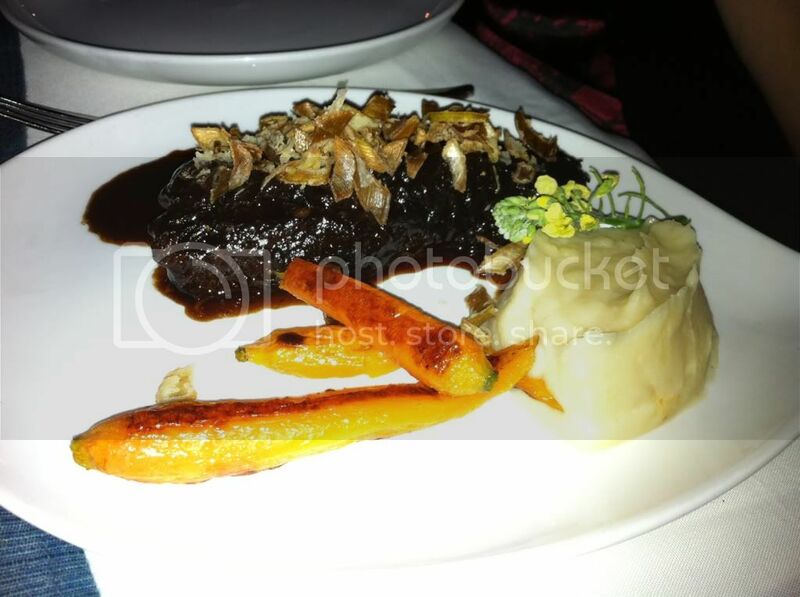 Although it wasn’t the tenderest short rib I’ve ever had, the fig, ancho chili and chocolate demi-glace sure did impress. The complexity of flavors between the chili, chocolate and fig was a perfect pairing for the short rib. 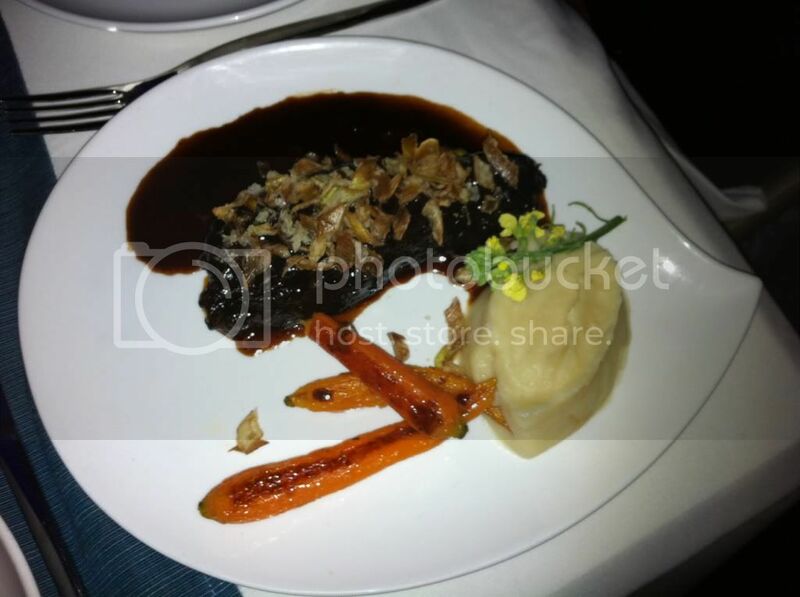 Throw in some fried leeks, cumin roasted baby carrots and a delicious celery root & leek puree and this dish one I wouldn’t hesitate in having again. My friend Carri had their Seared Herb Crusted Ashley Farms Airline Chicken Breast. The chicken breast was juicy and very flavorful, best part for a fatass like me was the perfectly crisp chicken skin. The chicken comes with fried gnocchi in a brown sage butter that left me moaning and grunting like a caveman at the dinner table. Along with this dish comes a shaved brussel sprouts and shitake mushroom ragu. The best bite of this dish was getting a piece of chicken (with chicken skin attached of course) soaking up the sour cherry port reduction and citrus honey herb drizzle all in one bite then immediately following it with a fried gnocchi. I really enjoyed this dish and even though my friend Carri played nice and shared with me, I couldn’t help but try and fight her over the last piece of gnocchi and chicken skin. After all this food, we somehow found room for dessert. We had a small sampling of pretty much every dessert Essensia has to offer (you are right in your summation of calling us gluttonous pigs right about now). We had their brulee style carrot cake which was very rich and moist; the cake comes topped with a thick layer of crème brulee. However, it missed that creamy texture we’re all so used to from the traditional cream cheese frosting. 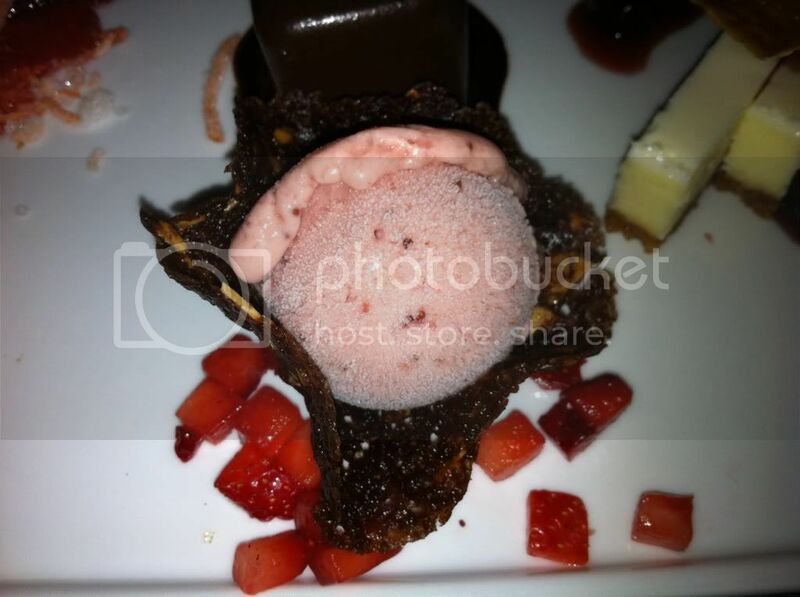 None the less, this cake is not to be missed; neither is the blood orange sorbet that it is paired with it. 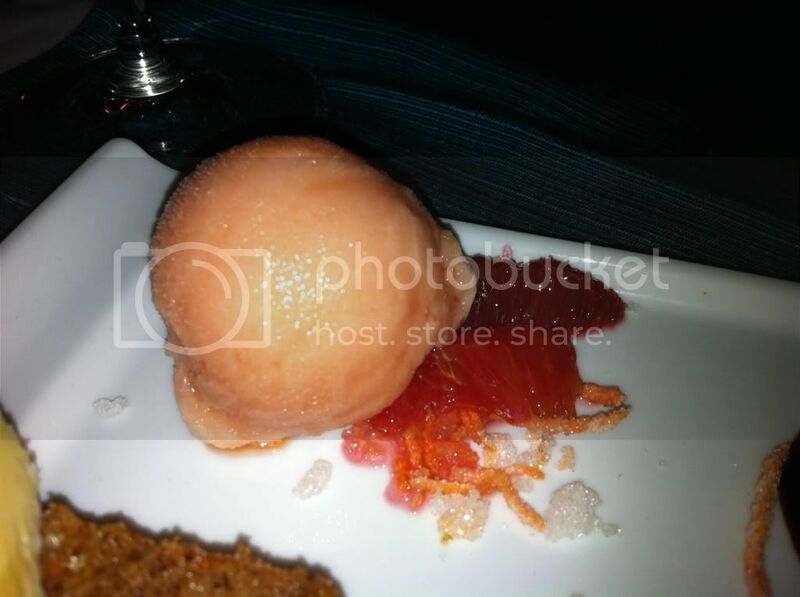 The blood orange sorbet was absolutely refreshing especially on a humid summer night. 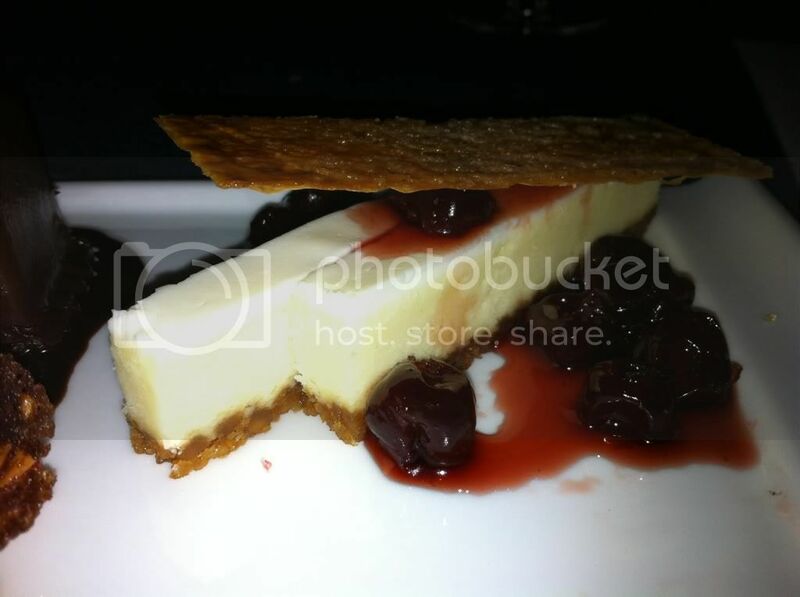 We also tried their roasted cherry cheesecake strudel which was definitely different with its macadamia nut crust. 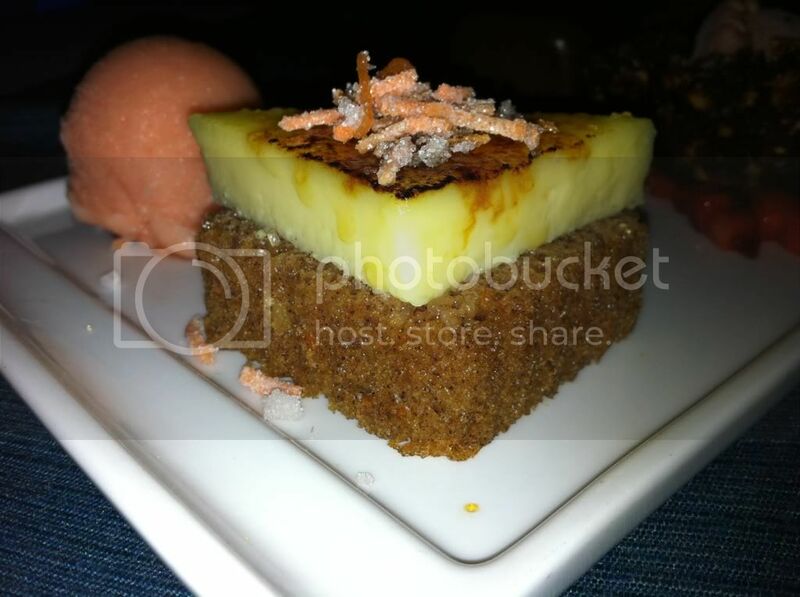 The macadamia crust helped give the whole dessert a nutty flavor and nice depth. 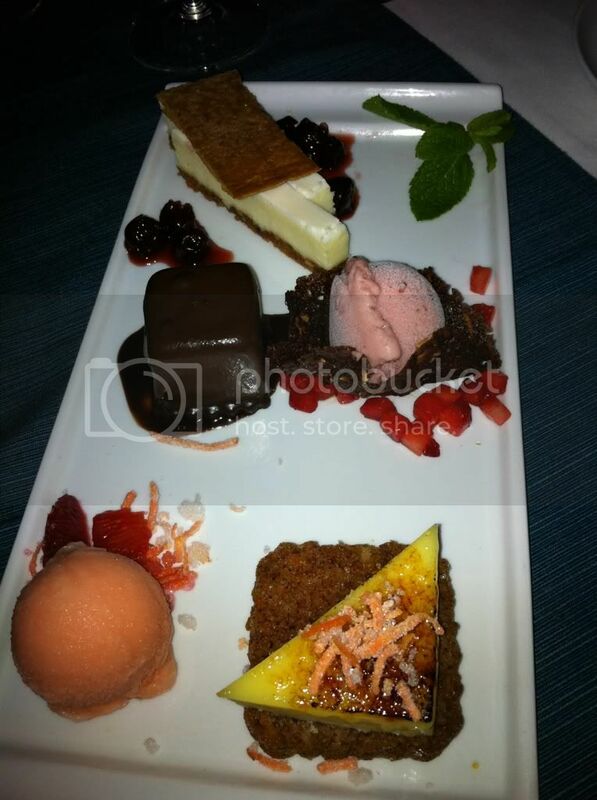 They also serve a chocolate ancho chili mousse that was my personal favorite. The chili spice comes in very subtly but gives the chocolate a great flavor. Lastly, we had a jalapeño strawberry ice cream that was spicy as hell. I was only able to take to bites without feeling like I was kicked in the back of the throat. The ice cream was sweet at first and the spice hits your throat like a fire engine. Definitely a dessert for the more ballsy eaters out there. This place was great and its décor helps you suspend reality and make you feel like you’re in Key West away from all of your Miami woes. The food is great and Chef Julie Frans is successfully working to do her part in the farm to table/sustainable food efforts that have gained popularity throughout the nation. The best part is that there wasn’t a single dish that I felt was under or over seasoned; everything was perfectly seasoned in my personal opinion. I would go back to this restaurant anytime; they are doing old time American favorites with a modern/upscale twist.